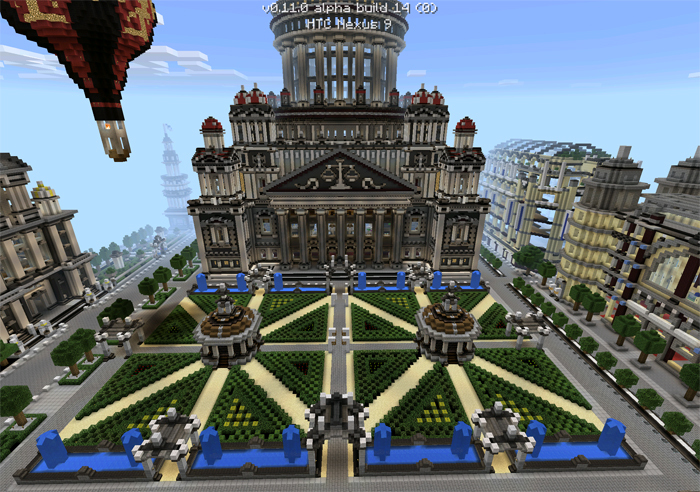 The Imperial City is a mind-blowing creation with the most magnificent builds so far seen in Minecraft Pocket Edition. The architecture is inspired by old Roman standards, it’s grand and imperial which makes anyone understand the enormous wealth and importance of the rulers in the city. Every turned street corner and next you will face another majestic build of some sort. You are never left unsurprised, that’s for sure.